Polyurethane gears are superior to other types of gears for many reasons including noise abatement, chemical resistance, zero corrosion and zero backlash. Polyurethane gears are widely used. 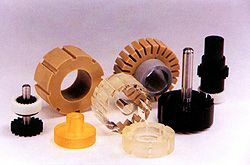 Polyurethane gear use includes manufacturing, assembly lines, conveyor belt systems, printing systems, and drive systems. The lower tooling costs of polyurethane compared to the specialized machining and finishing costs of metal gears and sprockets makes urethane the wise choice in drive-gear design. American Urethane, the leader in custom-molded polyurethane parts, offers savings of up to 50% in production costs when substituting polyurethane for metal. In addition to cost savings in the design and manufacturing of gears and sprockets, custom-molded polyurethane parts from American Urethane offer excellent wear resulting in reduced downtime for repairs and reduced maintenance costs. 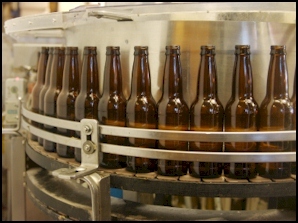 Custom-molded polyurethane also offers unique noise abatement properties not achievable with metal parts resulting in quieter operating machines. American Urethane offers innovative solutions to the toughest design problems and has a quick turnaround time.